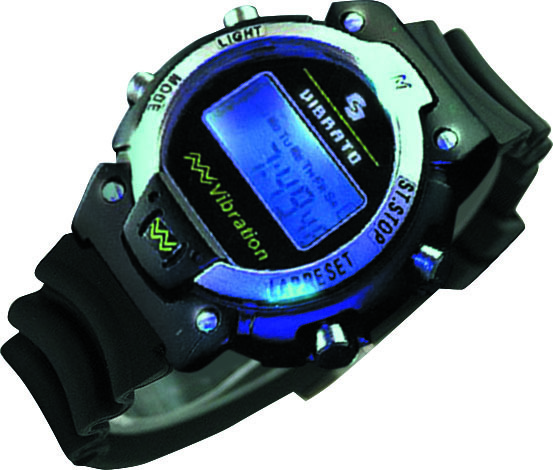 Handwatch Vibrato specifically designed for people with hearing disabilities. The usual time with the ability to display the 12/24 hour mode. Countdown Timer: 1 sec. up to 24 hours with the ability to auto-install, and sound an alarm signal on the residual time frame. Stopwatch: up to 23 hours 59 minutes. 59.99 sec. with the ability to auto and preset standard time. Alarm: Daily alarm and hourly repetitive signal. Double time: the time can display two different cities (countries).